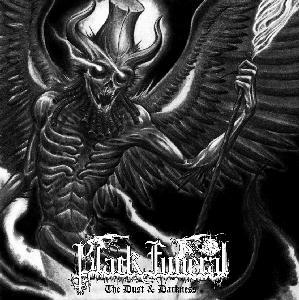 Here we have it – the new “Vampiric Black Metal” Masterpiece from Black Funeral. Two years after “Ankou and the Death Fire” Micheal W. Ford and his Ambient Black Metal band Black Funeral released their new four track EP. The first three songs are pure Black Metal songs which sound more like “Vampire – Throne of the Beast” and “Empire of Blood” than “Ankou and the Death Fire” – only the sound is warmer like on the 2016 album. The fourth song is a solid Ambient piece that completes the EP.